ISU Makes Statement Regarding Mariah Bell & Eun Soo Lim Situation During World Figure Skating Championships | Eun Soo Lim, Mariah Bell | Just Jared Jr.
You might have seen the reports that Team USA’s Mariah Bell purposely collided into Korea’s Eun Soo Lim during official practice, slicing the back of her calf with her skate blades. Mariah, 22, has also been accused of bullying the young skater. The two share the same coach. Now, the ISU has officially commented on the situation. 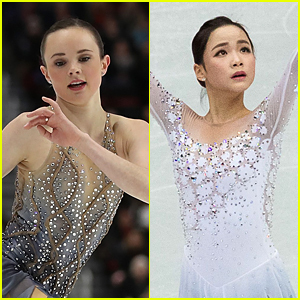 “The ISU has been made aware of a statement published on March 20 by All-That Sports, and subsequently by the Korea Skating Union on March 21 about an incident which happened between Ms. Mariah Bell and Ms. Eun Soo Lim, during their practice on March 20 at the ISU World Figure Skating Championships,” the release starts out. Mariah and Eun Soo still have yet to make a statement on the incident. 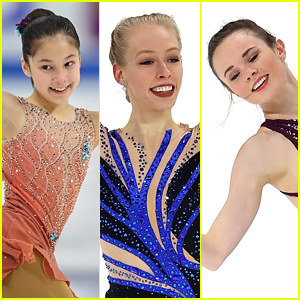 The ladie’s free skate for the 2019 World Figure Skating Championships will take place on Sunday, March 24th, from Saitama, Japan.